High Resolution Inkjet Printers provide optimum print resolution and high speed printing for large or small mark sizes. Everything you need to print crisp barcodes, graphics and text onto primary and secondary packaging. High Resolution Inkjet printers from Matthews produce exceptional print quality through optimised drop control. Their high line-speed capabilities and easy-to-use user interface make printing onto secondary packaging an efficient process, with reliable, high print-quality outcomes. 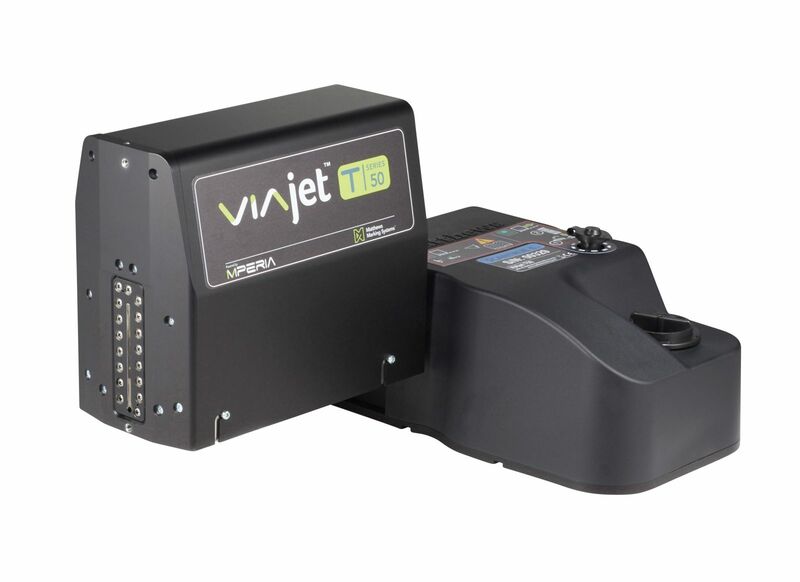 Typically designed for large character coding, generic package coding onto cartons and corrugated boxes and suitable for use in a wide variety of environments, their scalability to add additional features means our High Resolution Inkjets can grow with your business. Our range of Matthews’ MPERIA™ T-Series high resolution inkjet printers operate using piezoelectric technology to create crisp images, with print heights up to 100mm from a single printhead. These high-speed printers also boast superior ink efficiency, with up to 35% less ink consumption than competing brands, helping you save costs. Some of Australia’s major grocery retailers do not accept barcodes printed on cartons, so you may choose to use our high resolution printing systems instead.